Students who receive long suspensions are less likely to graduate from high school. The data from the Office of Civil Rights, while the latest available, is from the 2015-16 school year. And Baker says there are Missouri school districts headed in the right direction. Some are even working with the ACLU to improve their policies so black students won’t be treated so harshly. Baker says University City near St. Louis is one of the districts trying to reverse discipline disparities. 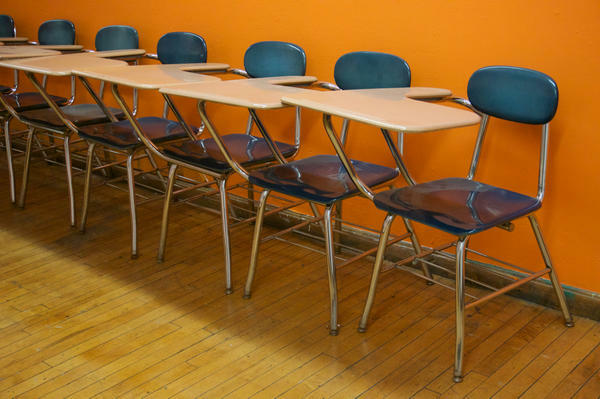 Locally, KCUR reported last spring that Kansas City Public Schools had drastically decreased the number of out-of-school suspensions in 2016-17. The new ACLU analysis doesn’t take into account these more recent improvements. Baker says the ACLU specifically looked at two metro Kansas City districts, Raytown and Hickman Mills. In Raytown, although suspensions went down between 2013-14 and 2015-16, discipline disparities got worse and black students were three times as likely to be suspended as their white peers. In Hickman Mills, their risk was two times that of white students. Both Raytown and Hickman Mills reduced the out-of-school suspension rate of black students receiving special education services. The original ACLU analysis criticized schools for frequent suspensions of special needs children, particularly students of color.